If you’re Buddhist, or have friends who are, you may have heard of practices involving the deity Tara, but who is she exactly? Three Buddhist teachers weigh in. 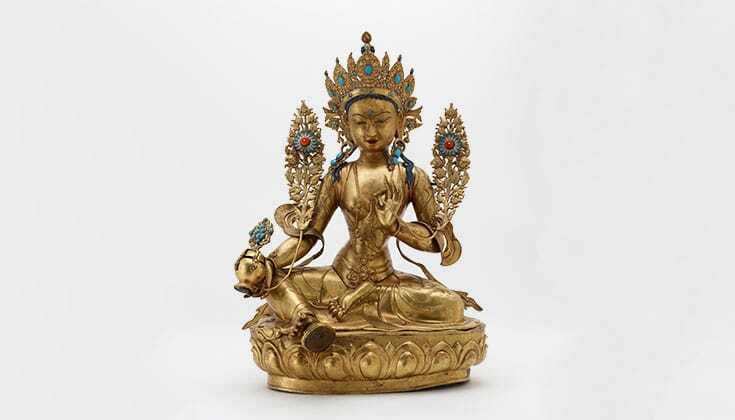 17th century Tibetan statue of Tara. Gilt copper alloy, turquoise, enamel, and coral. 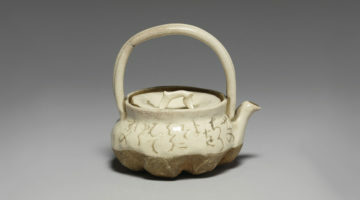 Image courtesy of Freer | Sackler. Tara is the most beloved by Tibetans of all the female awakened beings. Her praises are sung and she is supplicated in all Tibetan monasteries and by many laypeople as well. Tara is renowned for her swift and compassionate activity. Whether devotees have worldly or spiritual motivation, Tara gives benefit to all and leads people to awakening. The Tibetans call her Jetsun Drolma. Drolma is Tibetan for the Sanskrit word Tara. Je means the power to liberate others; tsun means that she benefits herself and all others, that she is beyond samsara, and that she has the stainless wisdom body. Read about how Lama Palden Drolma—and fellow Buddhist teachers Trudy Goodman and Roshi Pat Enkyo O’Hara — are changing the face of Buddhism in Feminine Principal. Gelek Rinpoche goes on to explain that enlightenment is possible only when female and male energies are both fully present. Using Tara practice, he says, can bring enlightened female energy into our lives. Lastly, in Tara, the First Feminist, Lama Tsultrim Allione explains that though she’s faced challenges and sexism in her life as a teacher, Tara’s vow to work for the benefit of all beings in a woman’s body has been a source of guidance and inspiration. The story tells us that Tara was a princess named Wisdom Moon, who was very devoted to the dharma and had a deep meditation practice. 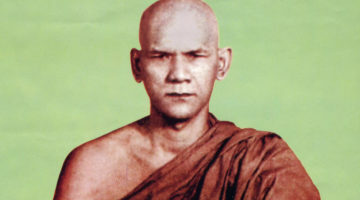 She was close to enlightenment, raising the intention to reach enlightenment for the benefit of all beings, when a monk approached her and said what a pity it was that she was in the body of a woman, because she would have to come back as a man before she could become enlightened. So do you think they knew that when writing Gone WIth the Wind and naming the one property Tara? !